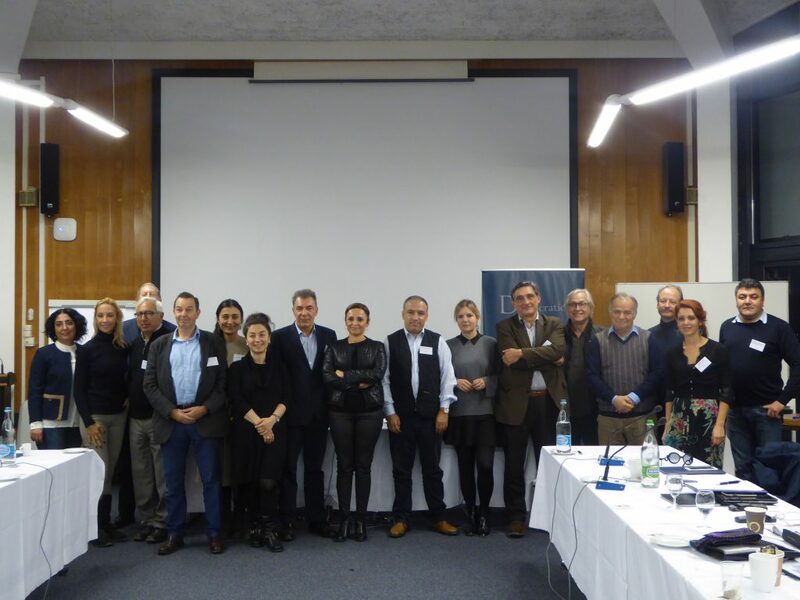 The Democratic Progress Institute (DPI) held a roundtable meeting last weekend in Geneva, bringing together senior journalists and cultural figures from across Turkey’s socio-political spectrum, to discuss the role of the media in conflict resolution. The roundtable facilitated expertise and knowledge sharing from international speakers, including Tom Kelly, former official spokesman for Tony Blair, Owen Bowcott, former Ireland correspondent at the Guardian, and James LeMoyne, former UN Special Representative to the Secretary-General on Colombia, and war correspondent. Speakers focused on comparative learnings from the experiences of conflict resolution in Northern Ireland and Colombia. The significant role of peace journalism and peace language within the media were salient threads throughout the discussions. Participants identified the issues of ethics and terminology in journalism as common priorities to work on in Turkey. In addition, participants were unanimous in their desire to broaden the base for dialogue and open new channels of communication with all groups in Turkey’s society. For more updates, follow DPI on Twitter @DPI_UK.